Here is the week one performance from FF trade explorer. Here is the second week performance. Averaging about 6.5% per week. Also this week I haven’t done much trading since I’m busy with forum development so this week I’m not expecting that much of a gain. 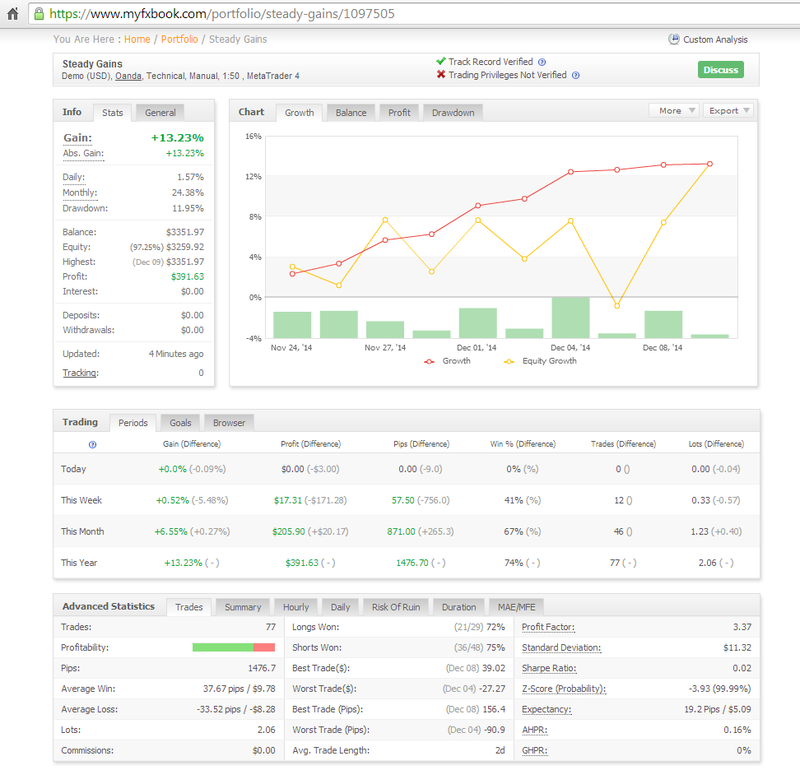 By the way, I just started using myfxbook.com. What they have is way better than the FF trade explorer. I recommend everyone to use this instead. This reply was modified 4 years, 4 months ago by Saver0.